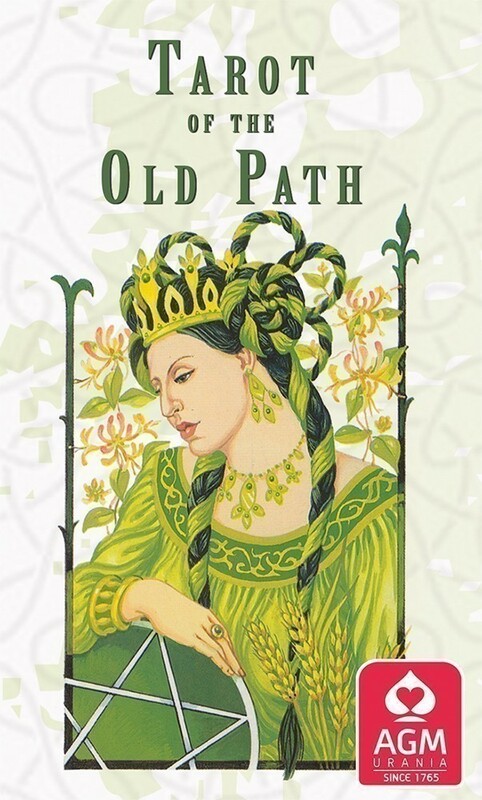 Tarot of the Old Path was created by two leaders of the Wiccan craft, with some of the most articulate voices in the movement as contributing advisors. This unique deck serves as a modern approach to what is known as the magical Old Religion, the Craft, or the Old Path of female wisdom. The deck’s vibrant artwork and clear symbolism holds just as much appeal for non-wiccan tarot readers. Sylvia Gainsford incorporated her considerable knowledge of flowers into the tarot card imagery. These are beautifully illustrated cards. I felt comfortable with them as soon as they were in my hands. There is a warmth and depth that is lacking, in my opinion anyway, in the Rider Waite and the Crystal tarot decks, so shall be "resting" them. The earth connection is evident and I am very happy about that. I know I shall enjoy working with them. An inspired purchase I think! As soon as my hands touched this deck, I felt a sense of pride flow through me. Being raised a Wiccan most of my life, the imagery and art sounded a bell in my heart and spirit. The deck called to me, to my sense of faith. 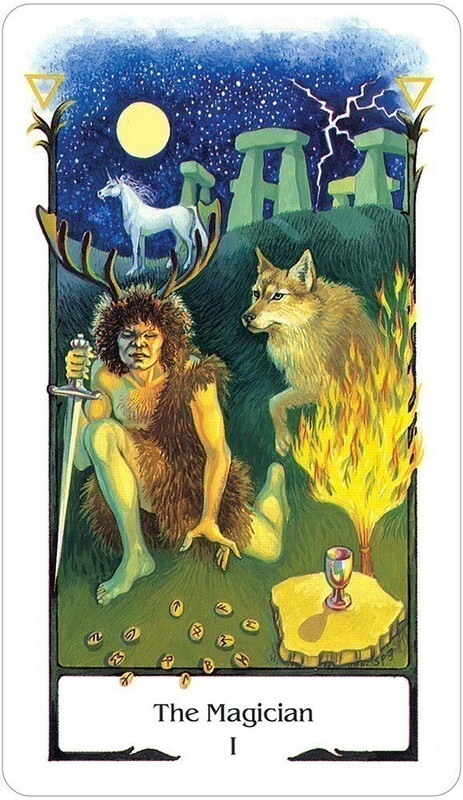 By using symbols and meanings pertaining to Wicca, Rowley and Gainsford created a Tarot deck that I connected with instantly. I chose it over the mythology deck my father offered. I wanted that connection with my faith and beliefs, and felt that this deck could bring me peace and a deeper understanding of my spiritual path. Each Major Arcana card has some silver material incorporated into the picture, usually on a character's eyes, that shines dully when light reflects off of it. It gives the deck an even more mystical and magickal feeling. 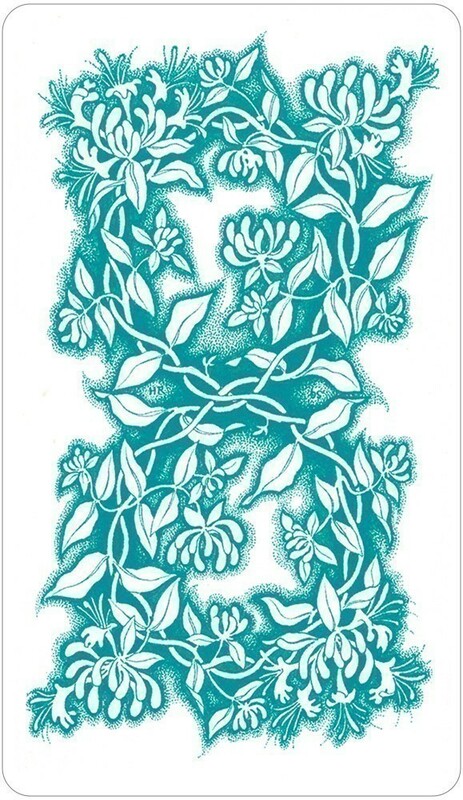 The back of the cards feature a beautiful green vine, swirling gracefully into a figure-8, or Infinity sign. The cards are about standard sized, and sleek for easy shuffling. 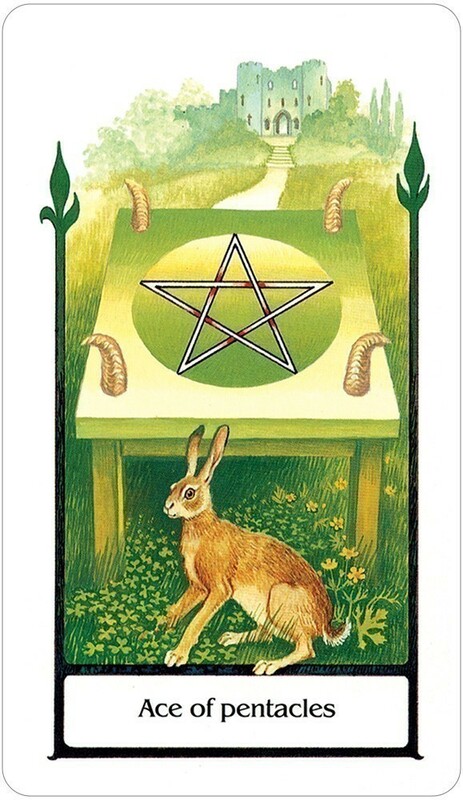 The only dispute I have with this deck is that some of the Major Arcana names have been changed from traditional Tarot names. For example, Death is now called The Close, and The Moon is known as Illusion. It is explained in the book that these changes are meant to more accurately portray the meaning ofthe card, but it can be initially confusing for anyone already familiar with the traditional Tarot names. Any Wiccan looking for a connection to their roots and an insight into their faith will love this deck. I recommend it highly. The Tarot of the Old Path is a magical deck indeed. I have had many decks and never liked all the cards, or they have had the wrong feel about them. These cards are so different. The artwork is gently vibrant, the open space at the top of each card creates an openess, giving your own intuition a chance to come into play. I find them easy and flowing. The size of the cards are perfect for ladies, and really this is an incredibly female deck. It is so refreshing to have the devil card replaced with temptation, as in paganism, the devil does not exist, and is somewhat a christian construct. I would recommend these cards for anyone who is into earth religion. The use of colour and detail in the artwork is unusual and beautiful. This deck will work best with feminine intuition, they feel amazing. The backs are just as stunning with their twining honeysuckle design. It's taken me 17 years to find the deck that is for me and I feel that now I have found it in this outstanding tarot deck. The little white book is informative and simple, but I think its best to connect with the cards and see what they mean for you first. 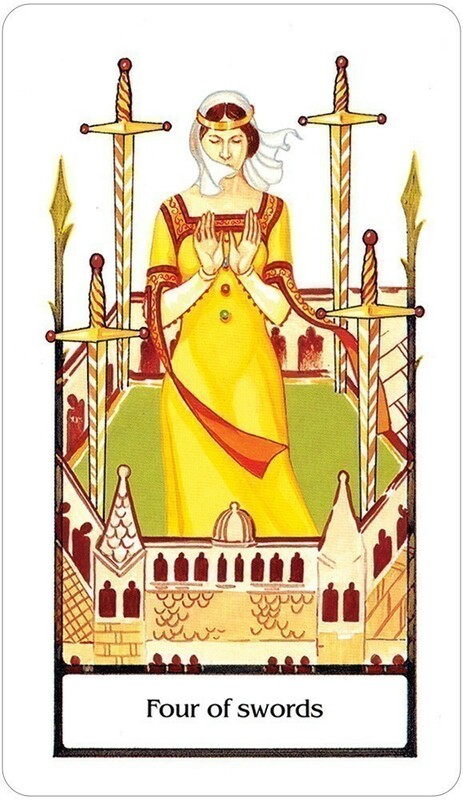 Congratulations to Silvia & Howard and the 8 witches who helped create such a profound tarot. Many years ago, when I first got Tarot of the Old Path, I had my reservations about the deck due to its Wiccan symbolism, which is very apparent throughout the deck. The beautiful art in the deck, however, kept drawing me back to it, long after I had put it away. I pulled the deck out again one day, and decided that there was no reason for me not to enjoy the deck . . . because I liked it! 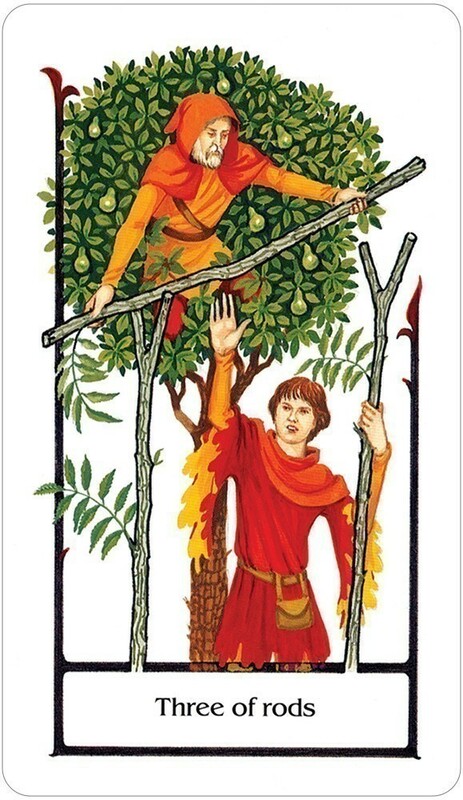 I would definitely recommend Tarot of the Old Path for those who follow the Wiccan faith, but it's a beautiful deck filled with a lot of meaningful symbolism and can be used by someone of any faith . . . as I discovered for myself. If you have an open mind and can respect the beliefs and choice of faith by others -- even if you don't share all the same beliefs -- then you can appreciate this deck. 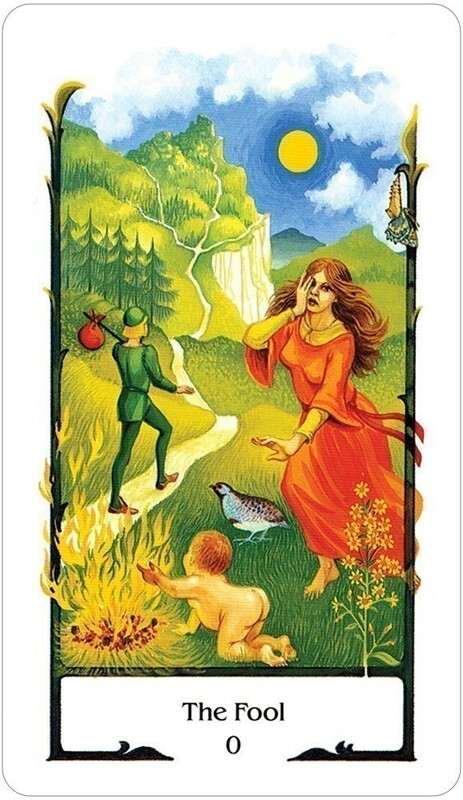 Tarot of the Old Path emerged in recognition of the card readers who follow the Wiccan path . . . also referred to as the Craft, the Old Religion . . . or the Old Path -- as the deck is named. A coven of eight witches came together to act as advisers and consultants for this deck. 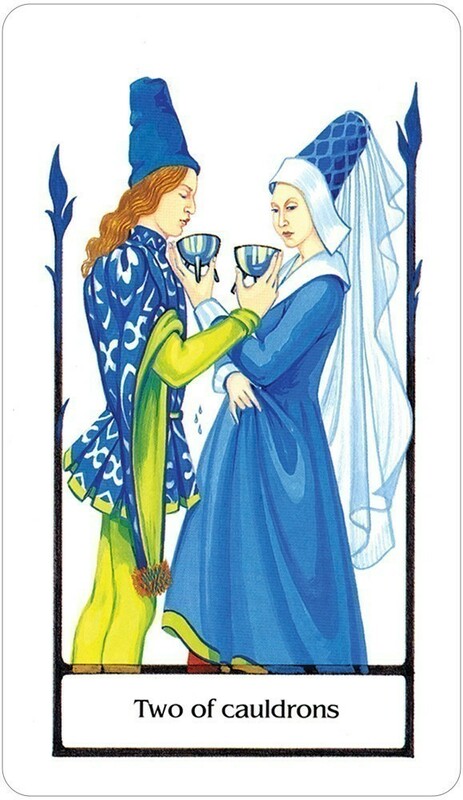 A lot of symbolism is included in the cards, including astrological and elemental symbology. Some of the traditional Major Arcana names have been changed to more appropriately represent this deck's theme. The name changes seem to apply very well to the cards. It has been said that this deck has a British feel to it due to the faces of the people portrayed in the Minor Arcana cards. Some Wiccan readers feel that this detracts from the Wiccan theme of the deck. Since I am not Wiccan, I can't really say one way or the other on that, but I do think it's a beautiful deck filled with lots of symbolism . . . and lots to think about for each card's image. There are a lot of variations from the traditional Rider-Waite Tarot, but also some similarities as well. I have found that I am able to make sense out of the changes made in this deck. I find it to be a fascinating approach in working with the Tarot.